Molly focuses her practice on a variety of employee benefit and executive compensation matters. 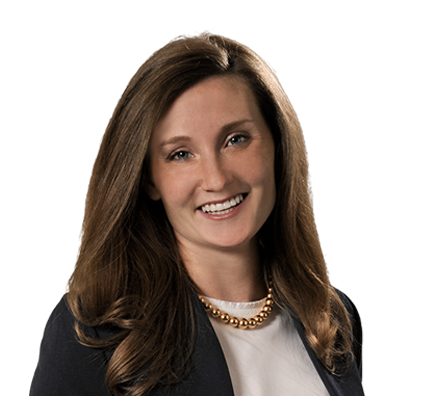 Molly advises clients on a wide range of employee benefits issues, including the design and implementation of qualified retirement plans, health and welfare plans, and equity compensation arrangements. She helps clients navigate the complex legal and regulatory issues relating to the Employee Retirement Income Security Act (ERISA); Patient Protection and Affordable Care Act (ACA); Health Insurance Portability and Accountability Act (HIPAA); Consolidated Omnibus Budget Reconciliation Act (COBRA); and relevant sections of the Internal Revenue Code, including Sections 162(m), 280G and 409A. Molly leads fundraising events to improve the lives of people with Type 1 diabetes. Since 2014, Molly has served on the Young Leadership Committee of the Juvenile Diabetes Research Foundation (JDRF). JDRF funds research for new treatments and therapies that make day-to-day life with Type 1 diabetes easier, safer and healthier.